Drafters who are still working on many formatsThe IT readiness of the GSTN - software needed for claim of credit on stocks, uploading of returnsThe reasonable knowledge of law not being available with other than for a handful of tax officersThe professionals starting to get trained - way behindThe industry/ trade not expecting the implementation due to known lack of preparedness of all sectors who are involved,The GSPs & ASPs not in position to design systems and processes due to formats not being in place even todayNo in-depth analytical book appears to be available. Large number of huge books with schedules put in different ways are available. Difficult for any reader to be able to come to even a simple classification confidently. In this challenging and uncertain times the bringing in of reverse charge for supplies from unregistered persons along with multiple rates and schedule wise rates with separate exemption list are perhaps the main areas of concern for continuing businesses as well as safeguarding the margins of the business. Mistakes in Classification and Exemption could come to light when the revenue department could object at rate adopted or exemption claimed. This mistake or error may come to light in the course of assessment, investigation or revenue audit. The assessee himself may come to know of the error due to competitors using different rates, paying or not paying, attending some awareness session, reading articles, books. The errors may also come to light or at time of due diligence, internal audit, statutory audit, outsourced consultant changing, etc. Loss of business in period of uncertainty till proper classification arrived at. Nobody could have got ready for the numerous rates and exemptions due to the fact that they were announced too late. A period of at least 6 months should have been provided for getting ready. 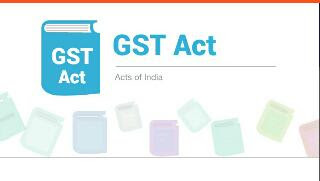 However those who got ready in May 2017 when list discussed in GST council as released were able to be better prepared and in case of unreasonable rates, represented and got the same corrected before 1st July. In case of higher tax charged, the loss of orders and cost of re-establishing with the customers, the loss of credibility with customers. The cost of discounts not factored which one is forced to give to retain the customer. In case of goods or services supplied which are nil rated or exempted the denial of credit by the revenue after 5 years can be fatal for the business. In case of short charge due to incorrect classification or claim of exemption which is not available non recoverability of taxes from the customers and cost of interest. In business the breaking the credit chain could make business unviable. In case of revenue raising the short charge or ineligible exemption issues in addition to the above cost: the cost of penalty, denial of credit availed, cost of dispute resolution at adjudication, appeal, Court stages. It should be kept in mind that the internal manpower resources could get substantially involved to resolve the issue inspite of the fact that a specialist in GST maybe outsourced the reply, appearance etc. The tax department (adjudication, appeal), the Tribunals and Courts are clogged with old disputes and in India are a major reform area being focused by Government. Their time and effort for a non productive activity is a loss to the nation. It is a fact that in indirect taxes the pendency's at appeals, tribunals and courts is alarming with disputes taking decades to get settled. Further the propensity of the revenue to safeguard itself and issue protective demands on any audit objection inspite of specific instruction against the same. The industry / professionals may do well to list out the probable errors/ mistakes in classification and put in place practices to avoid the huge impact. Non recoding of supplies to consumer fullyOnly recording the supplies being paid through banking channel.Incorrect nomenclature adopted by individual groups and in some cases whole industryUnder billing (10% of the value being billed)Sending goods by way of Delivery challans on approval basis.Stopping of business by the wary.Billing the lower rate. All these practices are fraught with big risk elaborated above. It is said that a stitch in time saves nine - an old English proverb. It is a business fact that cost of prevention is negligible against the cost of a cure. The time involved in seeking clarity later or resolving the dispute could be used more productively for doing business. It is suggested to get the clarification on classification or exemption in writing and provide the factual position to experts. In case of doubt advance rulings may also help. It would have been great if the Government could come up with a temporary quick fix solution of deciding on the classification in writing within 7 working days. This clarification would become final in case there is no revert in 6 months time. In case the clarification is found not correct on further detailed study, intimation maybe given to the tax payer on the change with a period of 1 month to correct. For the intervening period an initial differential tax waiver maybe provided.